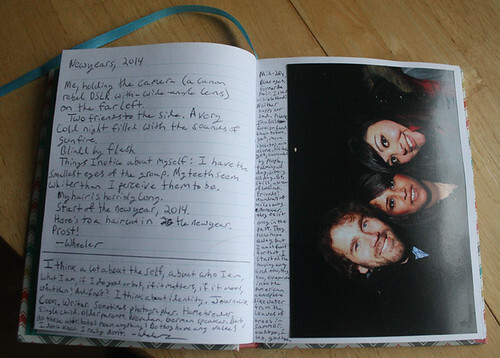 Did you know that keep a diary could enrich your life? Diaries aren’t just for anguished teenage girls to spill their hearts out about boys they love and loathe. Keeping a diary, for any person of any age, can be a great way to give yourself therapy. You can manage your emotions much better, by simply using the book as an agony aunt. You’ll find you release stress much quicker, and worry a lot less - you'll also enjoy mental clarity like never before. In one single day, imagine how many thoughts go through your brain. How many different emotions do you feel? These thoughts and feelings are the doorway to whatever you’ve been struggling with in your life, and by using a diary you can tap into them. You wouldn’t believe just how fantastic an asset these thoughts and feelings are, but they often escape quickly before we can actually get any use from them. This is where you can use your diary (shinola journals are the perfect place to start for beginners) to effectively managing your emotions. Don’t think of your new diary as a book containing the dramatic events in your life. Instead, think of it as a private, personal record of your thoughts and feelings that can help you to unlock a mystery. A diary is way more powerful than you probably realize! The most important thing here is to stop judging what you’re writing. Nobody will ever read this diary apart from you. You don’t even have to write down full sentences if you don’t want to! Let’s pretend you’ve just finished work, and something has upset you during the day. By simply pulling out your diary and writing a few words about it, and how it made you feel, you can tap into your emotions. You could even write about how guilty you feel when you eat too many biscuits! Some people like to leave their diary on the nightstand, so if they wake up with an idea at 3 in the morning, or want to remember a dream they had, they can jot it down and go back to sleep. You can easily weigh up the pros and cons of a situation to help make a decision. You can help yourself to focus. You can keep yourself accountable. It’s the safest place to write down your dreams and fears. You can shout at your diary without it shouting at you. You’ll have reduced stress levels. You can record great quotes and inspirational messages. You can keep to-do lists. Record your visions and dreams. Keeping a diary is truly a great way of finding yourself, soothing yourself, and becoming a better person. Try it and see! I used to write on diaries before blogging but now, I just jot it all down to my blogs. I agree with you, writing diary helps out all your stress and anxiety in life. Good the blogosphere so I enjoy writing whenever I feel down or I'm bored. I used to write in a diary but not anymore. When I'm down, I pour my emotions in my blog :-) that way I let it go my emotions or if not I sing or listen to music. I used to keep a diary when I was in high school It served as my avenue in venting out my joins and pains. I was introvert then. Now, I encourage my daughter to keep a diary of herself. She is into it, and it helps her big time with her writing skills. Her diary was what started her own blog trizduarte.com. I love writing a diary when I was still in school days but now I prefer blogging. Same here. I used to have a diary and I must admit it was kind of therapeutic to have your thoughts, feelings, emotions written down in a piece of paper. Sort of like a load off. Hmmm.. Got me to thinking about writing a diary again. I mean, it is nice to have something to look back and read. I used to have a diary during my high school days but now, my blog is my online journal which serves as my diary. Keeping a diary gives you an avenue to speak out your mind and feelings. Oh yeah! You have a wonderful collection of reasons why keeping a diary is great! I used to have one but stopped when I started blogging. It's very therapeutic for me and it's a very good way to chronicle every milestones in my life. I'd still draw between the line about public consumption and privacy though. Even though I blog now, I still keep a diary where I put my emotions which I can't post in my blogs.. and yes, it is indeed very therapeutic. I wonder how long will I keep my diaries. I've had one since first year high school. in your post is simply nice and i can assume you're an expert on this subject.